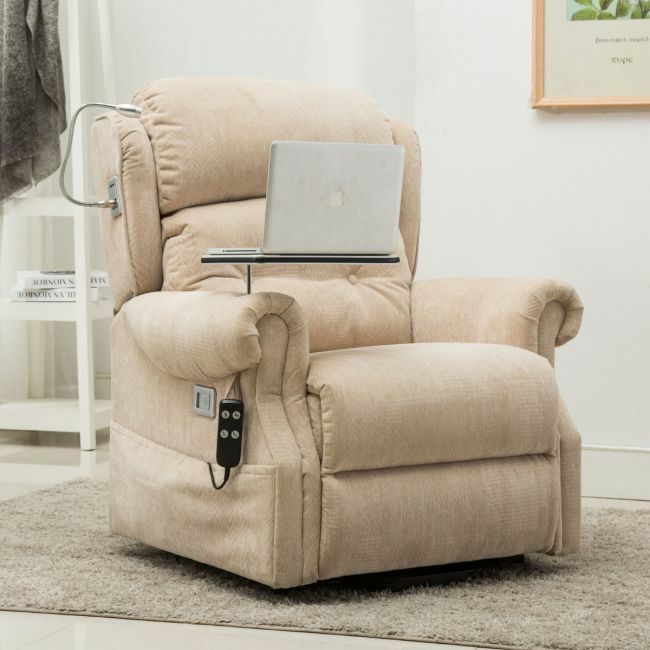 Sink into the memory foam seat of this riser recliner chair with easy to use controls. Recline to a flat snoozing position or sit upright and read a book under the touch sensitive reading lamp of the Stanbury riser recliner chair. There is a USB connector for charging mobile devices and an easy to use handset to find the perfect seating posture.